"I felt like all my bones were being crushed at the same time. I thought my babies and I will not survive. When I heard them cry I thought it was a miracle that they're alive but I soon realized it was a nightmare when both of them were struggling to breathe. My babies are very tiny. I have been longing for years to hold my babies in my arms. Now I'm a mother, but I can't feed or even hold them." - Panimalar, mother of premature twin babies. 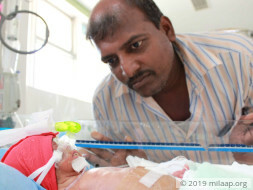 Panimalar and Venkatesan had twin babies last week, but they're still in the hospital. 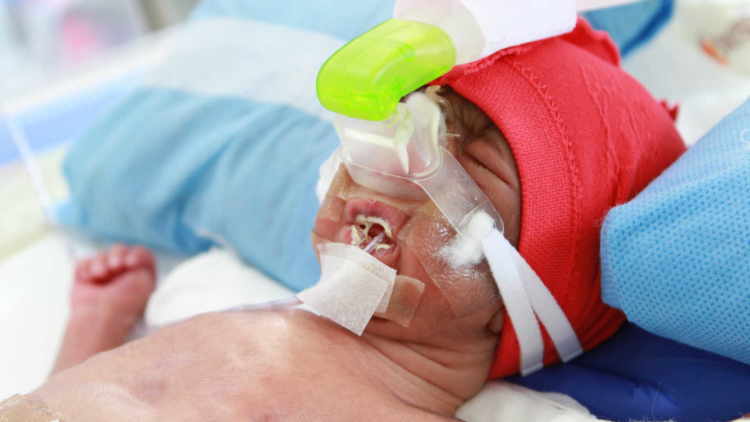 The uncertain lives of their newborn babies are choking them to death. Their babies are getting healthier by the day but they may not be able to take them back home if they do not find a way to continue treatment. Panimalar was on cloud nine when she became pregnant. She thought that her years of prayers and tears have finally been answered. She followed all the instructions religiously. Unexpectedly, she got labour pains during 7th month and an immediate c-section was done leaving the whole family completely shocked. "I did not understand what was wrong with my babies. They looked extremely tiny, weighing only 920 and 950 gms respectively. 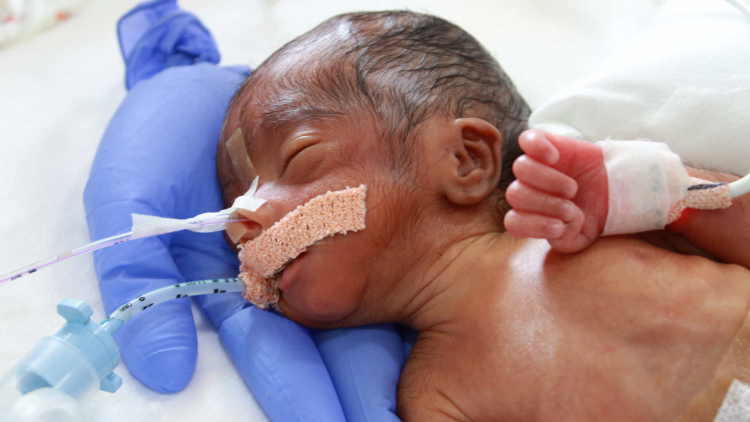 They were rushed to NICU immediately after their birth. They are still struggling to breathe. Both of them need to gain weight before I can take them home. When doctors explained that my babies have a lung infection and respiratory problem I was devastated. It is terrifying that without advance treatment, I will lose both of them." - Panimalar. 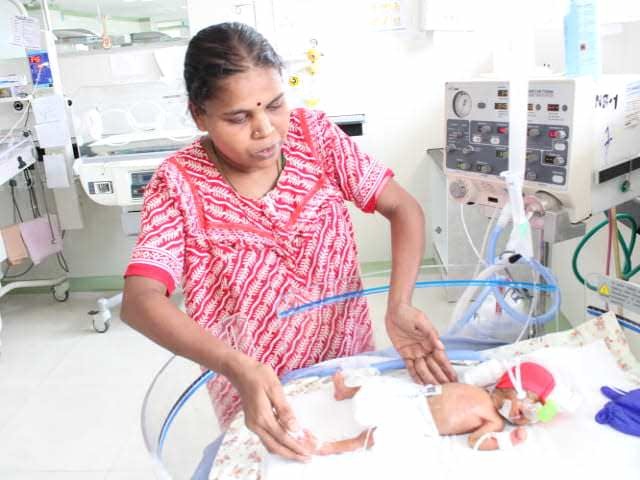 Her baby boys need at least 4-6 weeks of NICU treatment before Panimalar can take them home. She did not know how serious her babies are until she heard the doctor saying that her twins will not survive without treatment. 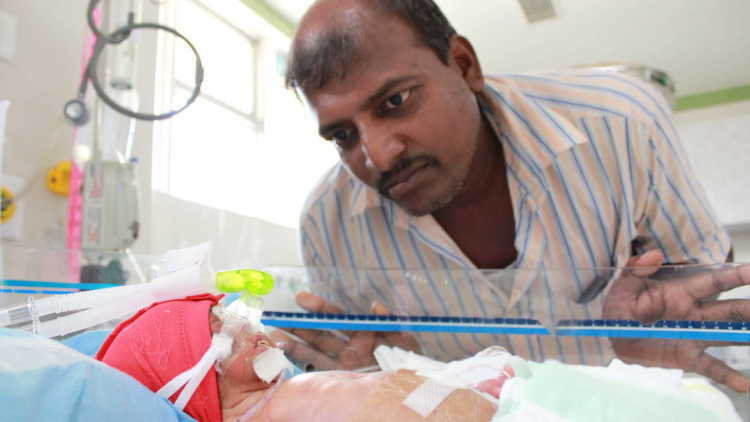 Venkatesan has already borrowed 2 lakh from his friends for the treatment. Every day the expense keep mounting and they cannot afford it anymore. They spend sleepless nights fearing that they might lose their little boys. "My relatives who come to see us in hospital give us Rs 500 or 1000. They ask me to buy fruits to my wife because she is also very weak but we spend all that money on our children's treatment. I feel guilty, I don't know whom to turn to help for such a huge money. Our life and strength are our babies without them we have no reason to live. We cannot go back to that feeling of emptiness. I want to save my twins at any cost." - Venkatesan, father. Venkatesh is a tailor and he also started doing plumbing work to save money for his children. 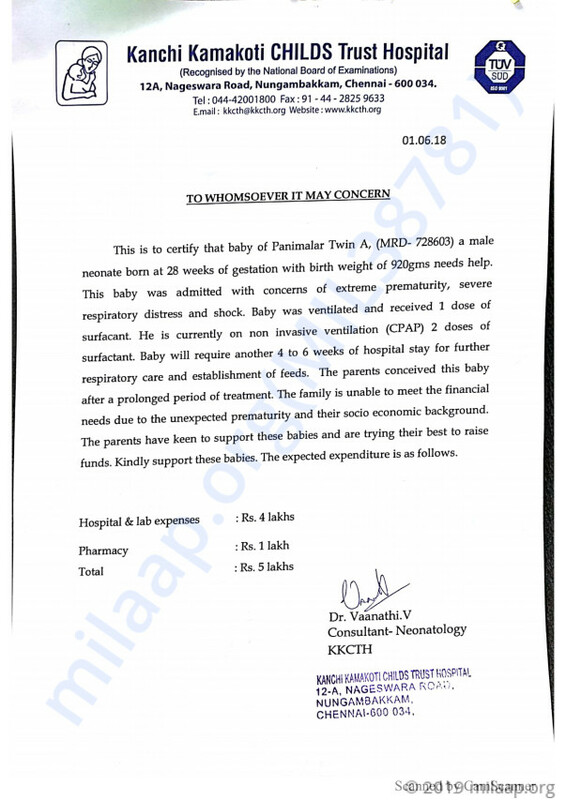 Panimalar helped him with his work even during her pregnancy. They wanted to make sure their children grew healthy and happy but now their lives are upside down. Their twin babies need treatment for few more weeks to survive and to grow normally. They have exhausted everything they have. 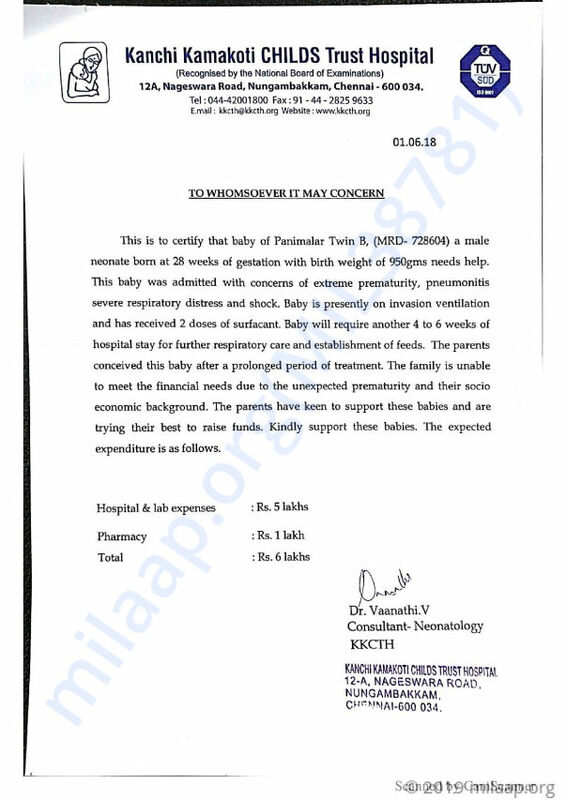 They need 11 lakhs to save their babies but it's beyond their means.
" I do not have any big dreams, all I wish is that my babies survive. I cannot imagine losing them. All I have is love. I wish I can make them understand how much I love them. I do not know what I can do to save my babies. I'm relying on strangers now, with your help I can take them back home." - Panimalar. Your contribution can save twin boys' life. Thank you for the wonderful support that you have shown towards the babies of Panimalar. The baby b is doing well on minimal oxygen and is tolerating feed increments slowly. The progress shown to the treatment so far has been positive. The baby A has developed sepsis and is not able to tolerate the feed. The doctors are adminitsering the best treatment possible and the baby has made recovery and we hope to be extubated in the next 48 hrs. Thank you for the wonderful support that you have shown towards the babies. Please do pray their health and speedy recovery. Will keep you posted.